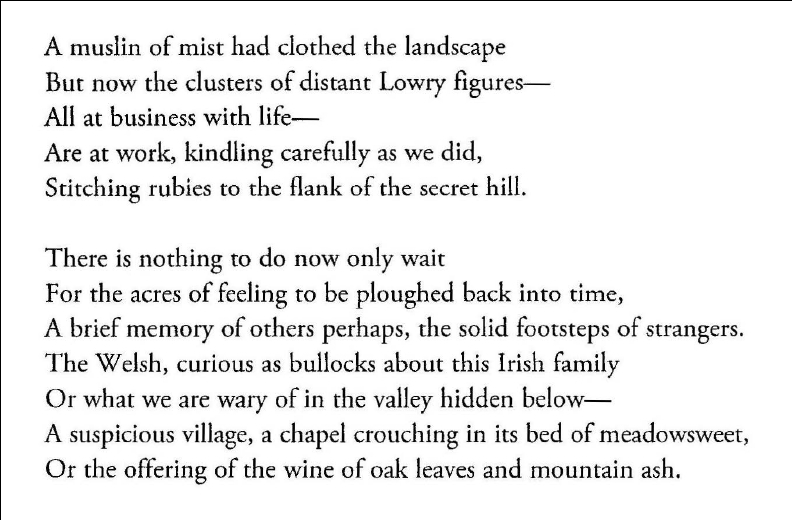 Leland Bardwell’s poem “St Brigid’s Day 1989” threw up a great many threads of inspiration for the 90 women artists who are participating in our St Brigid’s Day Exhibition, which is currently showing at the Irish Embassy in Berlin. Among them were several images that are particularly maternal in theme, reflecting honestly and profoundly on both the the beauty and tempestuousness that can exist between mothers and daughters. 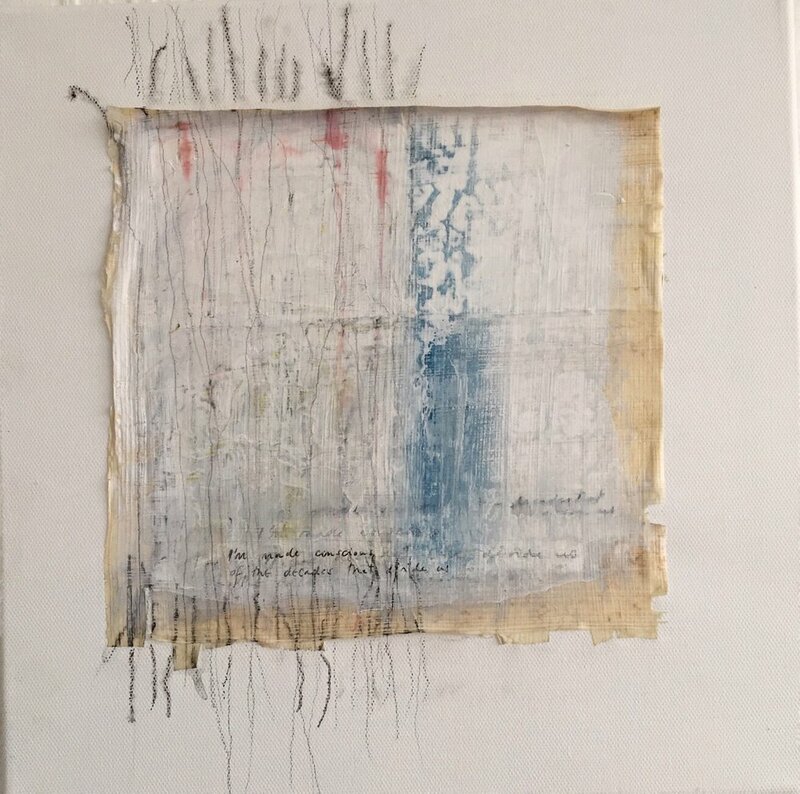 To mark mothers day we thought we’d bring you this special “Miscellany blog from Berlin” featuring a selection of those paintings, and the reflection of the artists who made them . We’ve also included a selection of powerful poetry by Leland Bardwell where she observes her own life as a mother. In this painting ‘The decades that divide us’ I paint out an intimate conversation with my mother Mary Boyle over our annual making of Brigid’s crosses. This is a portrait of my late mother Brigid (Bridie) Gillard. The paper boats represent her five children. 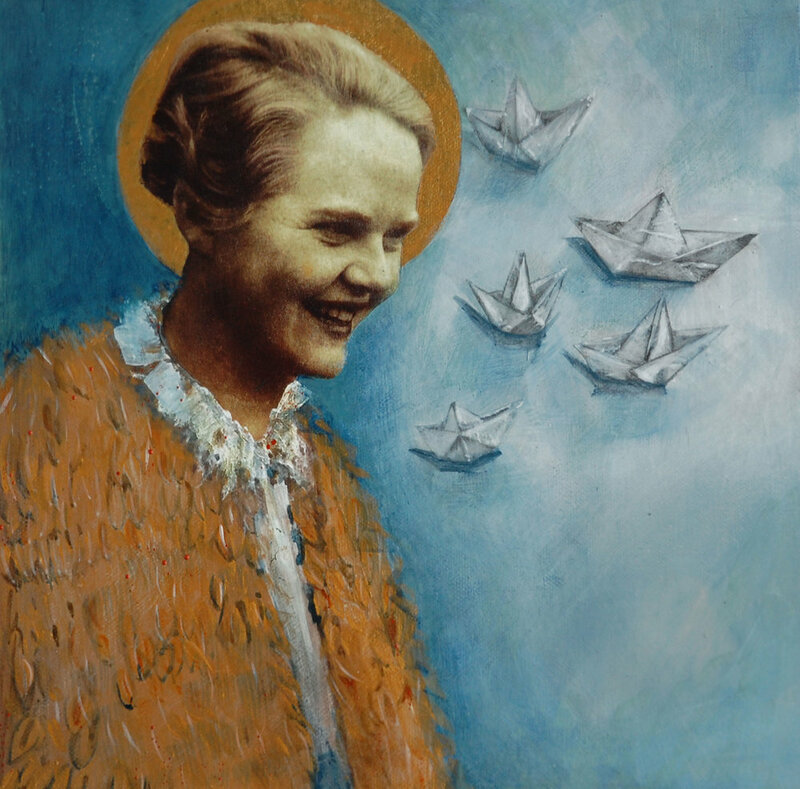 Brigid was the Patron Saint of boatmen. My mother, while gathering the rushes to thatch the roof of her first marital home, lost her wedding ring. Personifying a story of love is a powerful, resilient and beautiful woman looking back on her life and to the land that sustains her. 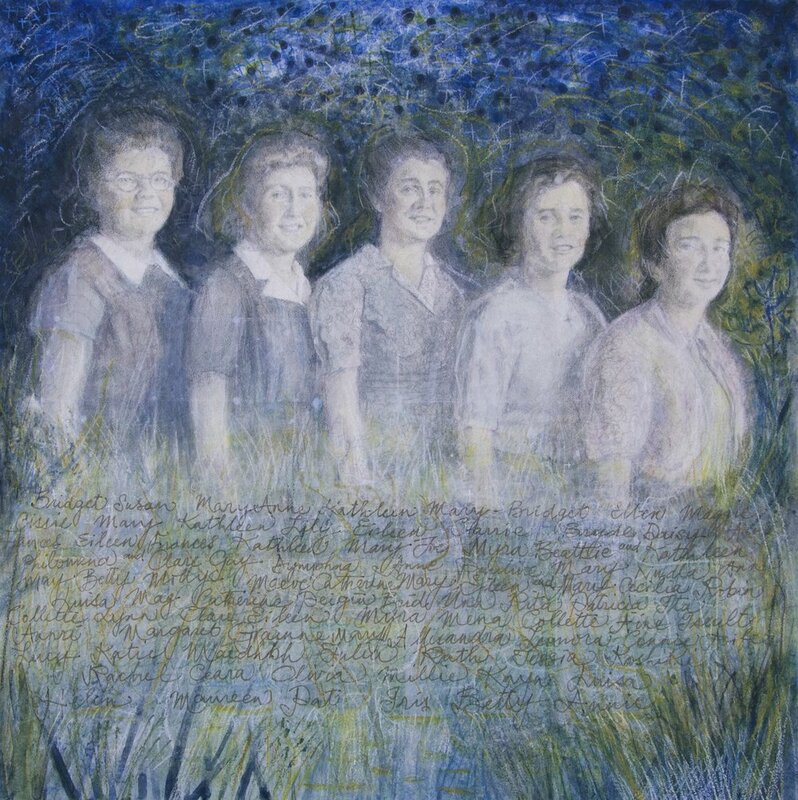 Below an image of my mother and my mother's sisters I inscribe names all the women in my family circle, from Bridget Campbell, born 1784, to Luisa Carroll, born November 2018. A celebration of each of them under the mantle of St Brigid . St Bridget’s Cross is as much associated with Ireland as the Shamrock. This sculpture evokes the cross even though it is composed of lines carved into stone. Gathering rushes to play with was part of our childhood, I remember my mother Bridget making the Cross. This sculpture is dedicated to her.